Lake Race is THIS weekend! You won't want to miss this event this year! 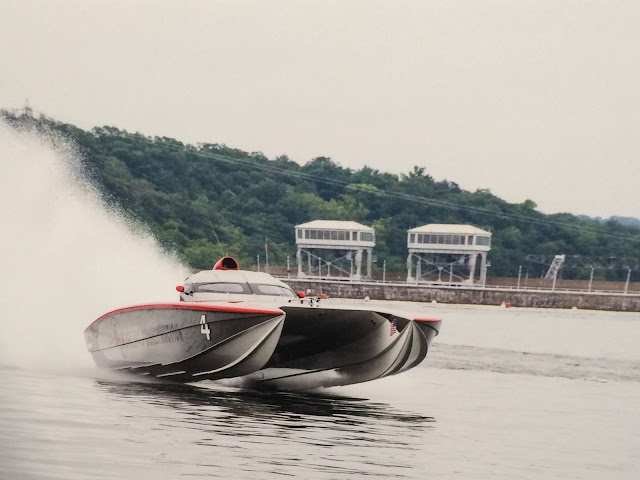 This week-long event at the Lake of the Ozarks will be full of exciting powerboat racing and racing theme parties around the lake! The first event for Lake Race this year is on Thursday, May 31st and the Offical Race day is Saturday, June 2nd. This will be the ultimate race this Summer and you won't want to miss out! Even though the race is only one day, there will be other Lake Race Themed Events going on all week! Be sure to stick around the area and experience all the fun that goes along with Lake Race. Below are the schedule of events for Lake Race this year. The National Caves Association is celebrating their second annual National Caves and Karst Day on June 6th. Members of the NCA created this day to raise awareness of the crucial roles both caves and karsts play in our lives and encourage people to get out and visit a cave this Summer! One of the best spots to learn all about caves is right here at the Lake of the Ozarks! Missouri is known as the "Cave State" with 22 show caves open to the public. The Lake of the Ozarks is the only area in the world where you can find four show caves within 30 minutes of each other. These caves include: Bridal Cave, Jacobs Cave in Gravois Mills, Ozark Caverns in Linn Creek, and the newly reopened Stark Cavern in Eldon. 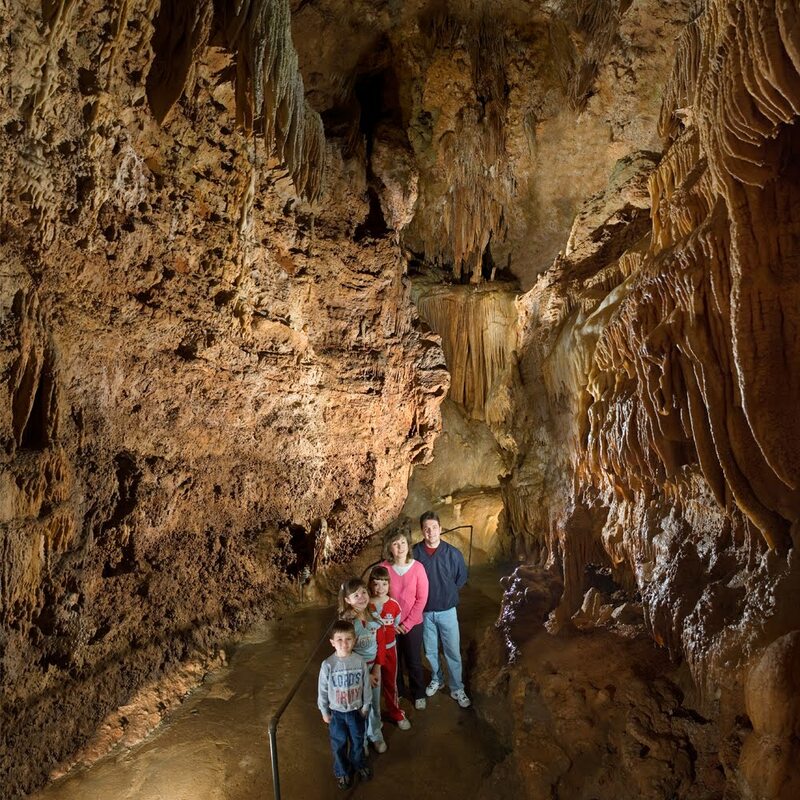 Even if you do not have the chance to see a Cave, it is the perfect day to take the time to sit down with your family and plan out a couple days this Summer to get out and see some of the best Missouri Show Caves! Learn more about National Caves and Karst Day below. The Most Award-Winning Bridal Chapel in the Ozarks! 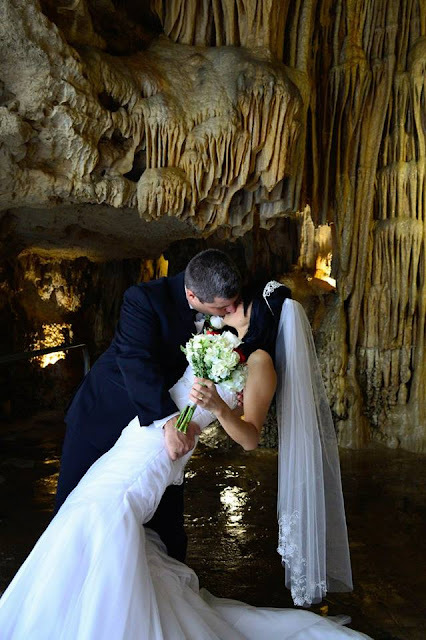 Bridal Cave's first modern-day wedding occurred almost 70 years ago! Since then, our unique wedding venue at the Lake of the Ozarks has joined over 3,600 couples in marriage. Our cave has a long history of weddings, starting with two Native Americans from Osage Indian Tribes a very long time ago. We have continued the wedding tradition inside our Lake of the Ozarks underground wedding chapel since our first wedding and have become the most award-winning Bridal Chapel in the Ozarks! In fact, we have received several awards from well-known news sources, take a look! What Mom's Really Want for Mother's Day! Mother's Day's is this weekend and many of you are probably wondering what to get Mom for Mother's Day. Presents are nice but Mom would really like to just spend time with her children. 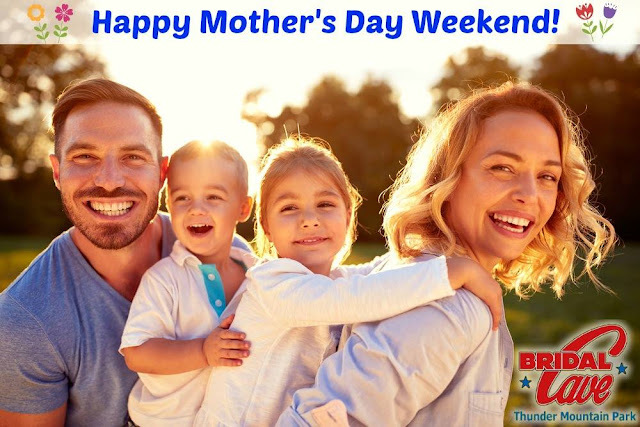 What better way to spend the day with Mom than with a day in nature with the family at Lake of the Ozarks best outdoor attraction. Let's face it, Mom does a lot for the entire family and she deserves a day dedicated to her! Today, Bridal Cave would like to feature how to treat Mom to the best Mother's Day possible! Get Ready for a FUN Weekend at the Lake! The weather is warming up and the Lake of the Ozarks is starting to get busy again. We have busy in the park with our field trip groups but we are excited for the Lake to pick up for the season! If you are looking for fun activities at the Lake of the Ozarks this weekend, you have a lot to choose from. This weekend is the 21st Annual Spring Harbor Hop, Cinco de Mayo, and the Kentucky Derby. You won't want to miss out on all the fun this weekend at the Lake! Check out the details below! 21st Annual Spring Harbor Hop The Spring Harbor Hop is the kickoff to boating season. This event is the Lake's largest Poker Hop on the water. Over 40 of the Lake's best waterfront bars and marinas will participate in this lake-wide event. These bars will set up as checkpoints for all participants to draw a card and try to win the best and worst poker hand! Prizes will be awarded for the best AND worst hands! This event will be a lot of fun and anyone can play!